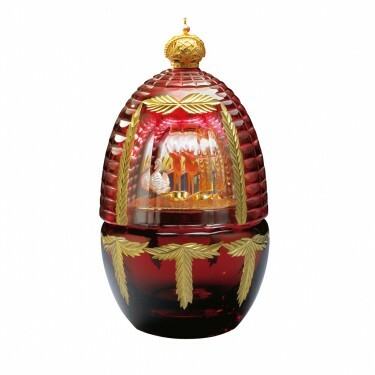 The Encore Egg, in rich cranberry hand cut lead crystal, celebrated the 70th birthday of Theo Fabergé. The Egg is hand painted with 23 carat gold. 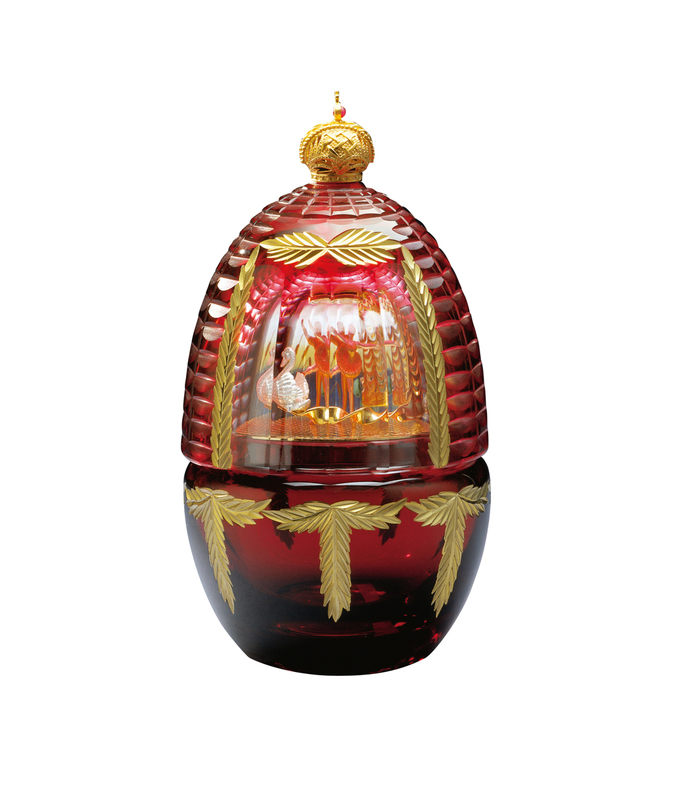 The seven swags each represent 10 years in the life of Theo Fabergé. The vermeil Russian Imperial Crown turns to open the curtain revealing a scene from Swan Lake, two ballet dancers and a swan moving around the stage. Looking through the Egg, the painted backdrop of water lilies can be seen. Lifting the top of the Egg reveals the two ballet dancers in sterling silver and vermeil.